The game, which will be made available exclusively by way of digital download, is being developed for a very broad system launch that expands across multiple computer platforms and console platforms, though in that regard it is exclusively 8th generation focused except from one exception. 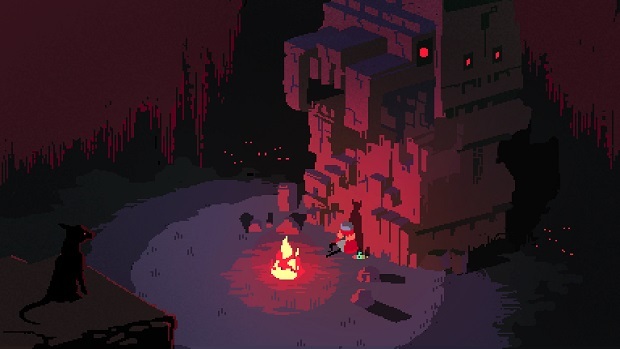 Set to release on a worldwide scale at some time early in 2015, Hyper Light Drifter is set to release on Microsoft Windows and Linux supported PC’s, OS X, PlayStation 4, Xbox One, Sony’s PS Vita, Wii U and finally, the Ouya. Whilst not officially confirmed, the game is possibly going to be self published. 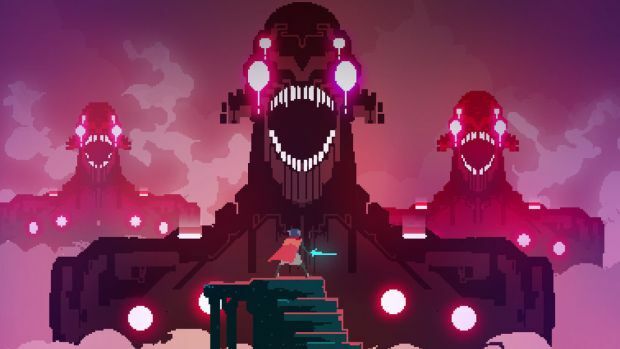 Hyper Light Drifter is yet another success story from the Kickstarter Campaign boom that has swept this generation of creative minds. The game was born from the mind of one Alex Preston who yearned to develop something unique and striking with regards to its visual and gameplay style. The game is designed in a way that combat with enemies must be approached with a degree of strategy, thus reflecting The Legend of Zelda, players must manage an Inventory in an isometric perspective, thus reflecting Diablo. His drive to create a game that combines things he loved was something that he realised was a possibility in 2013 when he set out to create a game for Windows and Linux supported PC’s and OSX. He took to Kickstarter with his plan for the game and asked for $27,000 to complete the game. He did this with the help of programmer Beau Blyth and Rich Vreeland, both of which are previous content creators on Samurai Gunn and Fez respectively. With these two team members on board he formed the basis of the team that would grow to become Heart Machine. Within 24 hours, the campaign was a success and within a matter of days following this the game has passed the $100,000 and following this success, a number of stretch goals were put in place to encourage further funding that would help bring the game to other platforms as well as improve the quality of the end product. The reason these platforms were encouraged as stretch goals was that Alex Preston would have felt it dishonest to over promise on the premise of his plan. The development team has since expanded considerably to include a variety of team members and because the scope of the game has grown considerably, the title has been delayed until some time early in 2015. Whilst specific plot details are vague at best, there are some plot elements of the game that we do know by way of interviews with team members. The Drifter is a member of a people that venture into zones that cannot be inhabited by other peoples. They do so to find rare and lost technologies that they both sell, and make use of. The drifter that the player controls is suffering from some sort of sickness that they are seeking to cure. 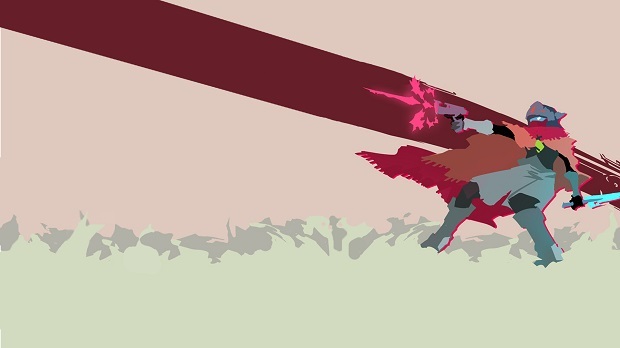 Gameplay in Hyper Light Drifter is from a top down perspective and makes a heavy use of platforming through stages (in the preview build) that are navigated by way of foot and (what I assume to be) short range teleportation. Players tackle a variety of enemies with an array of equipment that range from direct fire projectiles to indirect fire spread projectiles and swords. Difficulty scales as both the amount of numbers of the enemy grows and their skill level grows. When the Drifter encounters powerful foes, he can rely on his most powerful weapons which are powered by potent, yet rare batteries that are found throughout his travels. 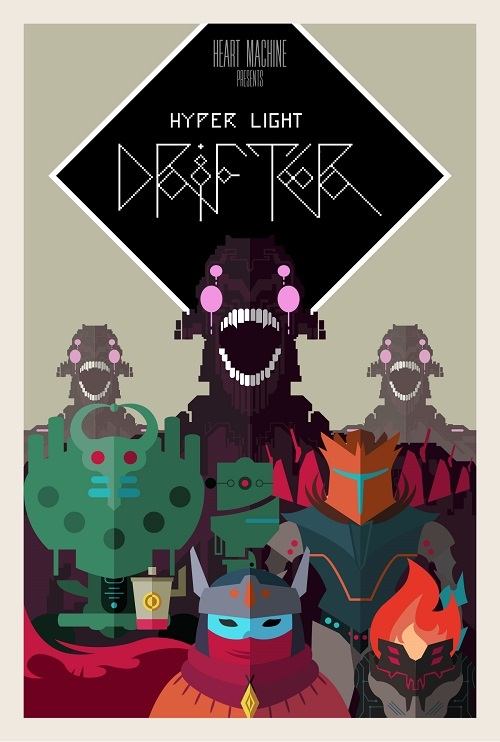 Thus far, one official character has been revealed and that is the Drifter. Drifter – The Drifter is a member of a people that venture into zones that cannot be inhabited by other peoples. They do so to find rare and lost technologies that they both sell, and make use of.